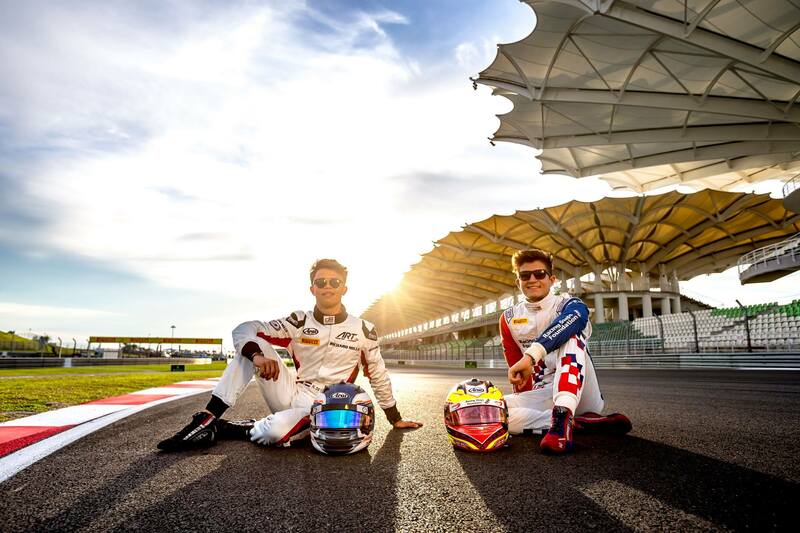 A final corner lock-up meant Jake Dennis disappointed with a seventh place qualifying performance for the opening race of the penultimate GP3 Series round of the season at Sepang in Malaysia. Having scored his maiden championship race victory at the previous round at Monza in Italy, Dennis was hoping to continue his improvement on his first visit to the circuit located to the south of Kuala Lumpur. With a stifling ambient temperature, drivers were forced to manage a track temperature of over 45 Degrees and a newly re-surfaced circuit, meaning management of tyre degradation would be key. Dennis set out his intentions in the opening part of the qualifying session, setting the third quickest time with a best time of 1m 51.148s ahead of the mid-session gap and switching of tyres. The Racing Steps Foundation-backed driver looked set to continue his advance after the break, posting the fastest times of the session so far in sectors one and two and looked set to top the time sheets. But as he reached the end of the lap, Dennis locked up the tyres on the inside of his car as he braked for the final hairpin. His error forced him wide out of the corner, scrubbing off crucial speed and time and ruining his lap time. Dennis was therefore forced to run again with tyres which were quickly degrading. On the final lap of the session, the Arden International driver was able to post personal best times in sectors one and two, but was unable to go quicker in sector three. His time of 1m 50.6098s was therefore good enough to promote Dennis to ninth place on the grid for the opening race, which became eighth place when ART Grand Prix’s Nirei Fukuzumi took a three-place grid penalty handed down at the previous round at Monza. Following the qualifying session, provisional fifth place starter, Campos Racing’s Alex Palou was excluded for a technical infringement, promoting Dennis a further place to seventh on the grid, starting alongside Fukuzumi. The ART GP squad also locked out the opening spots on the grid, with championship leader Charles Leclerc setting pole position. He will line up alongside team-mate Alexander Albon, with Dutch racer Nyck de Vries in third place. Dennis’ team-mate Jack Aitken will start alongside de Vries in fourth.